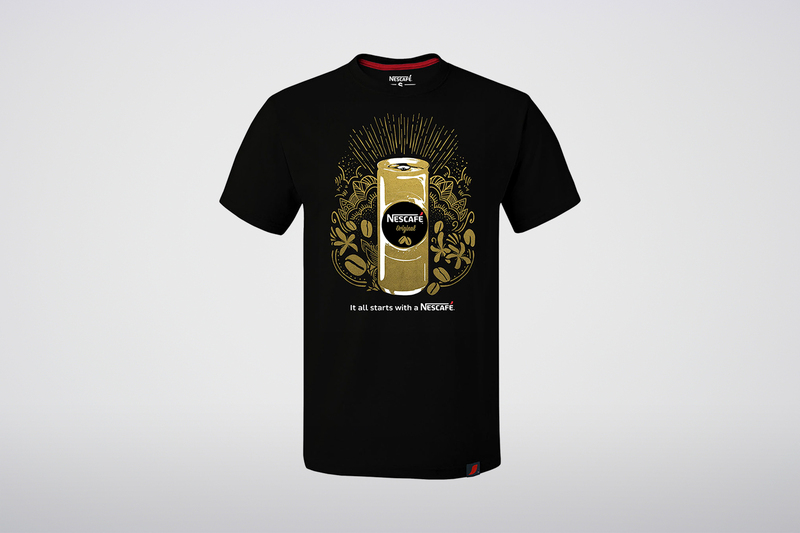 Nescafé’s t-shirt for their Nescafé #GO-jer contest, designed and made by Saltycustoms. When Nescafe approached us to design and produce t-shirts for them to give away as prizes for the large-scale Nescafé #GO-jer contest, they wanted the design to be something really unique and prestigious to match the brand personality. So, when we were crafting the design on the drawing board, we figured that on top of just creating a standout design, we could also employ a special printing technique that would give the t-shirts a golden touch. The result? The t-shirts were well received by both the client and the public, and the design has become an iconic mainstay of our portfolio ever since. So, today, we are excited to tell you about metallic print on custom t-shirts. 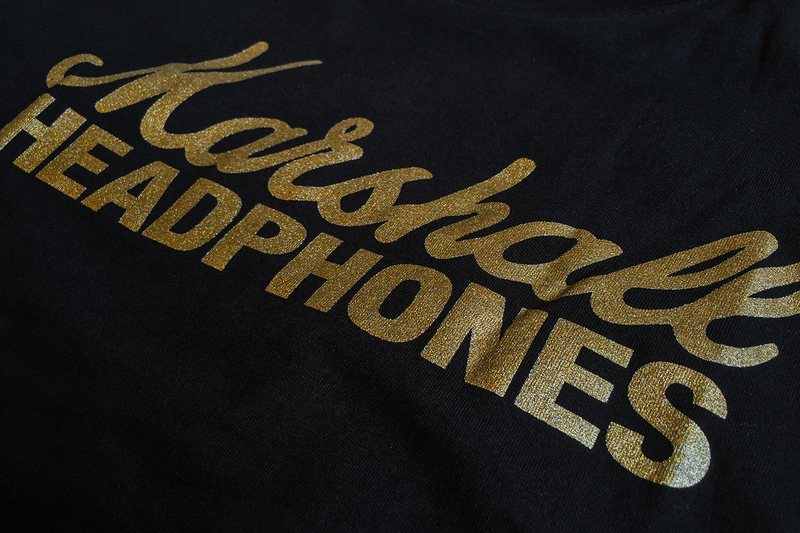 Metallic print helps make designs more appealing and… shiny, literally. Metallic inks used in metallic print simulate a metal appearance on garments, and unlike being an overlay treatment or transfer, the ink itself is metallic in nature. Metallic print on t-shirts is quickly becoming one of the most popular specialty prints around, simply because it helps make designs more appealing and… shiny, literally. Metallic inks are also more versatile than one would imagine; they are available in a wide range of colours (although gold, silver and copper are the most common colours), and they can be applied on a plethora of fabric types. On the design front, while metallic inks are suitable to be used on most kinds of designs and typefaces, they work best when there are no small details to fill because metallic inks are a bit thicker than normal inks. The only downside to custom t-shirts with metallic print is that they are slightly more expensive to produce than t-shirts with normal silkscreen prints. That is because metallic inks take a considerably longer time to prepare and dry, and the printing process requires increased attention and manpower due to the complexity of the printing technique. If you can afford the extra cost, we’d definitely recommend metallic print t-shirts for your business, simply because they can really help your brand stand out, and designs with metallic print do make a lasting impression. You may speak to our Apparel Consultants today about metallic print by emailing sales@saltycustoms.com or checking out facebook.com/saltycustoms. Looking for something equally as impressive as metallic print? Check out our article on high-density print on t-shirts, too.